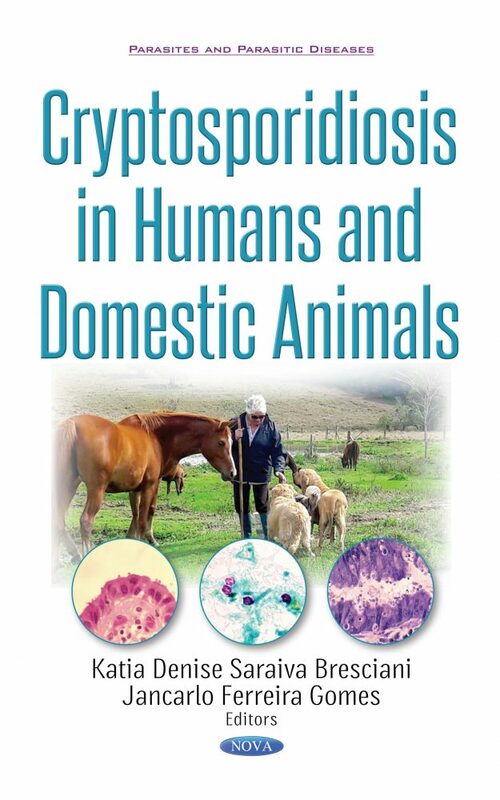 The aim of this book is to clarify the epidemiologic aspects and control related to cryptosporidiosis in humans and domestic animals. Obligate intracellular parasites, the protozoa of the genus Cryptosporidium develop in the microvilli of the epithelial cells of the gastrointestinal tract, respiratory and urinary tracts of mammals, birds, reptiles and fish, and cause disease of high socioeconomic impact worldwide. Infected animals, especially cattle, are a source of infection for the environment and humans, because they eliminate large numbers of oocysts in their feces. In people, the implementation of the control includes preventive measures that promote the early diagnosis of this infection. This book discusses the importance (zoonotic aspects), history, etiology, epidemiology, clinical aspects, diagnosis, prognosis, treatment and control of cryptosporidiosis in humans, the hydric veiculation as well as aspects of this disease in dogs, cats, chickens, pigeons, psittacines, pigs, horses, goats, buffaloes, bovine and lambs. Unlike other conventional techniques and commercial kits, a technique with high efficiency in the laboratory diagnosis of gastrointestinal parasites of humans and animals has been outstanding in recent years. Under the zoonotic aspect, health professionals may be aware of these clinical signs and take preventive measures for their control. Additionally, the importance of cryptosporidiosis in terms of public health and zoonosis is critiqued. This book will be of interest to veterinarians and health professionals in general who are involved in Public Health.